Happy President’s Day! I am celebrating the day by being a productive U.S. citizen and supporting the local economy, aka running errands and going shopping. I am very fortunate to have the day off today so I am using it as another day to be very productive. As I was getting ready for bed last night I was recapping the weekend in my head and oh my gosh, I realize I was completely lazy when it came to cooking/creating any type of meal! Usually my weekends are a time for me to really get creative and show my mad skills in the kitchen, but apparently I wasn’t feeling it this weekend. Tonight we have dinner plans that involve a really nummy italian restaurant, so tonight I will not be cooking either. That means I have Tuesday, Wednesday, and Thursday to redeem myself, and you better believe I will. This weekend when we were at Whole Foods, I bought some really neat purple and white eggplant as well as purpley-green kale. I have plans to get creative with it. I also bought something else I have been really interested in trying that I will break out either Wednesday or Thursday. I’m not sure how it will go, but more on that later. Can you handle the anticipation? 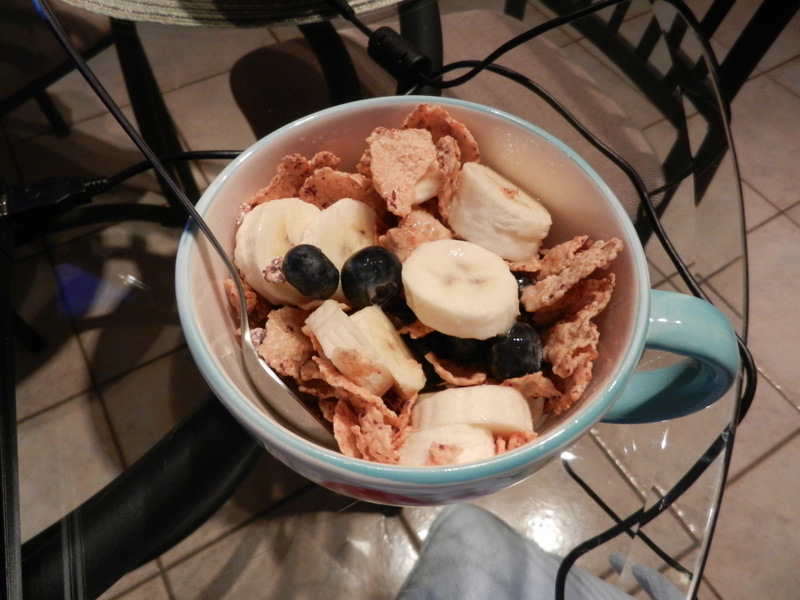 My day started off with a mug of hot and steamy coffee and a bowl of banana, blueberries, and Special K Blueberry cereal. It was pretty good, but the banana wasn’t quite ripe enough for my liking. It should do the trick for a while and tide my belly over. As I was running the other day my brain started to wander as it usually does. I was running on the treadmill at the gym and tired of reading subtitles on the t.v. ahead, and needing a break from people watching. I was getting bored as I often do on the treadmill. My head started playing tricks on me telling me to stop or take a break and walk and it wasn’t because I was tired, I know it was because I was bored. I kept running, trying to fight off my sub-conscious thoughts. I daydreamed back to my days when I first started running. Now, I am by no means a “runner.” I can run, but running is not easy for me, at all. 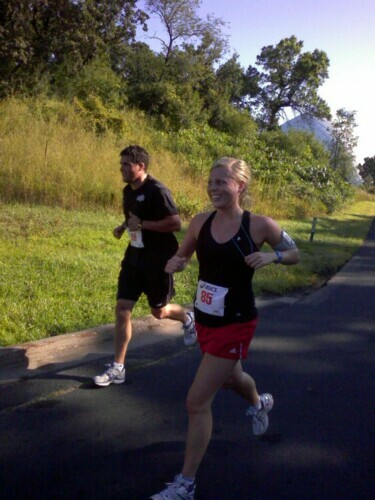 I first started running because I had signed up for my first 5K. I had no time goals in mind, I just wanted to finish. I was in La Crosse, WI at this time for my internship and I remember the morning so vividly that I laced up and headed out for a walk/run. I did a large loop around my apartment complex and ran for a total of about ten minutes. I called Dana and told him how long I had run and I remember thinking, that’s better than nothing, but man, do I have a long way to go. Dana’s response to me was, “you gotta start somewhere.” He was so right. I could have given up then thinking ok, I can only run 10 minutes right now and I need to run more like 30 for the 5k and quit right then and there thinking it would never happen, but I didn’t, because I knew this would take some time. I began increasing my running to walking ratios and progressed slowly until I was eventually running 3 miles. I completed my first 5k and was addicted to the feeling at the finish line. I knew I had to do more. From then on I ran more 5k’s, then eventually progressed to a 6k, then a 10k, and then last summer Dana and I completed our first 15k. What a great feeling of accomplishment it is seeing your body progress and really finding what your body is capable of doing. I never thought I would be completing a 15k, and that currently I am signed up for two half-marathons this summer. Am I ready for a half-marathon now? Absolutely not. I am now averaging about 3-4 miles per run, 3 runs per week. I am about a third of the way there, just as I was when I first started training for my first 5k. I know I can do it though. The body is capable of so much more than I often let myself believe. It might be painful, it will indeed be challenging, but it will be worth it. I will be sharing my progress with you as I go, and pushing harder through your support. The moral of this story is as Dana put it, “You gotta start somewhere.” Even if it is only 10 minutes, or 2 minutes, it is possible! Don’t let your mind play tricks on you and tell you that you can’t. You can. 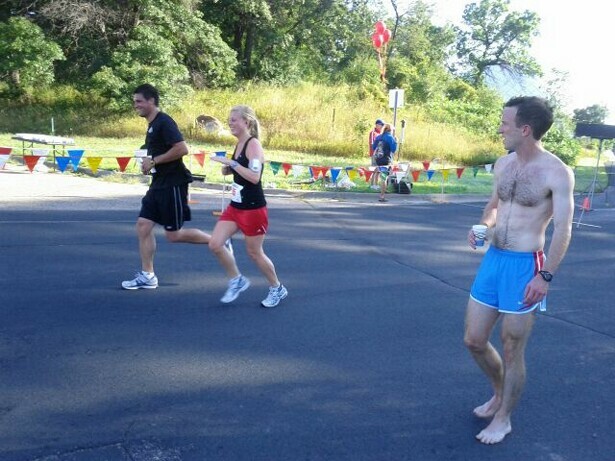 I’m still constantly working on my self-talk as I am running. So many times my mind will say, “you can walk for a little while, come on,” but I am learning to fight past it (unless I am positive that I really do need a walk break). I am often repeating, “keep going, you’re fine” and if I am on the treadmill, “keep going, you’re not tired, you’re just bored, but don’t stop because then we’ll be on this thing even longer.” It is crazy how much self-talk goes on in my head. I do love running with music because it really motivates me and pumps me up. There is nothing like having fresh music to run to really listening to the music to glide you through a run. Also, finding a running buddy is great motivation. Dana and I trained together for the 15k and it was so helpful to have someone by your side through the process and encouraging you to push to the end of the run, and to get up on Saturday morning for a run when you really just want to stay in bed all day. It was an experience that we were able to accomplish together, which is very special to me. That was my motivational piece for the day. Like I said, I am not a great runner, but I can run. And you can too. Get up and move it baby! I am off to tackle laundry, shopping, and hopefully a workout as well! Have a great day! 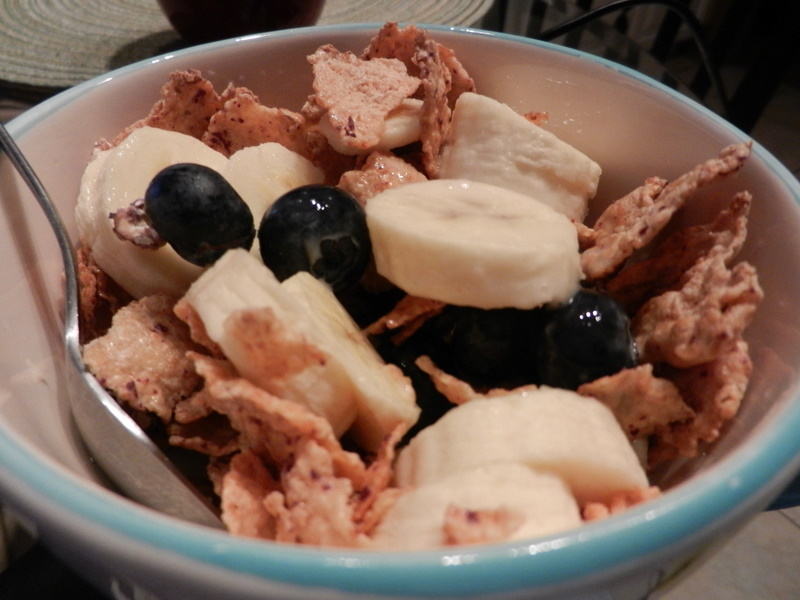 This entry was posted in Breakfast, Training and tagged Cereal, Running, Training by Melanie. Bookmark the permalink.